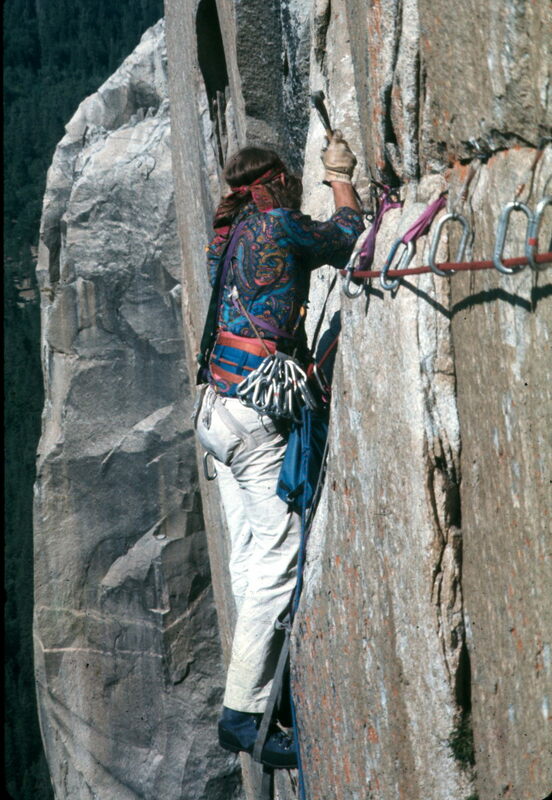 Jim Bridwell, one of the most experienced climbers in the history of the sport, uses only four knots for any and all climbing situations. Better to learn a few knots well, than a multitude of knots poorly. It then goes on to describe 6 different knots. Which are the 4 that Bridwell used? Is there really a set of 4 that work in every situation? But is there really a set of 4 that work in every situation? Can anyone spot the mistake in the above photo? I posted this photo on Facebook and a climbing instructor friend pulled me up on it! Said it's safe but could be safer. I think I can see a double fisherman's on the cord on the back of his harness, a figure eight on a bight on the blue haul line, a girth hitch on the last pin and possibly a water knot. I have also found pictures of him at an anchor with a bunch of clove hitches, but it is unclear who tied them. Maybe he never used them, but I doubt that. 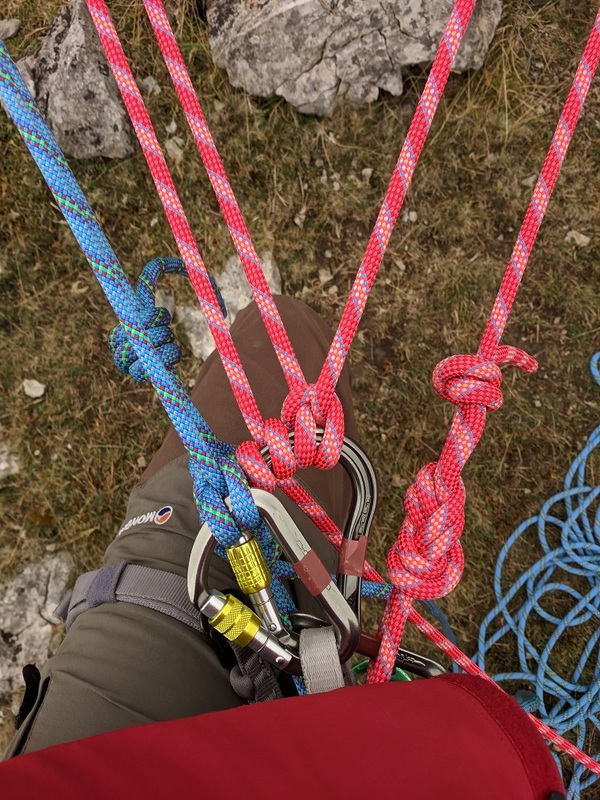 I would also expect him to know the Prussik, or some other friction knot for hauling and a Munter hitch for belaying, but cannot find them in photos. He probably also knew a square knot (and hence a granny knot) as well as a simple overhand knot for backing up his eight on a bight, because most people know these knots. Finally, even if he used a swami belt, I would be surprised if he couldn't tie a bowline on a coil. This is still a relatively small number of knots. Not the answer you're looking for? Browse other questions tagged rock-climbing knots or ask your own question. What are different knots named in English? Which bends are binding knots? Which type of rope is to be used to practice knots?